By Kristin Masters. Apr 5, 2018. 9:00 AM. 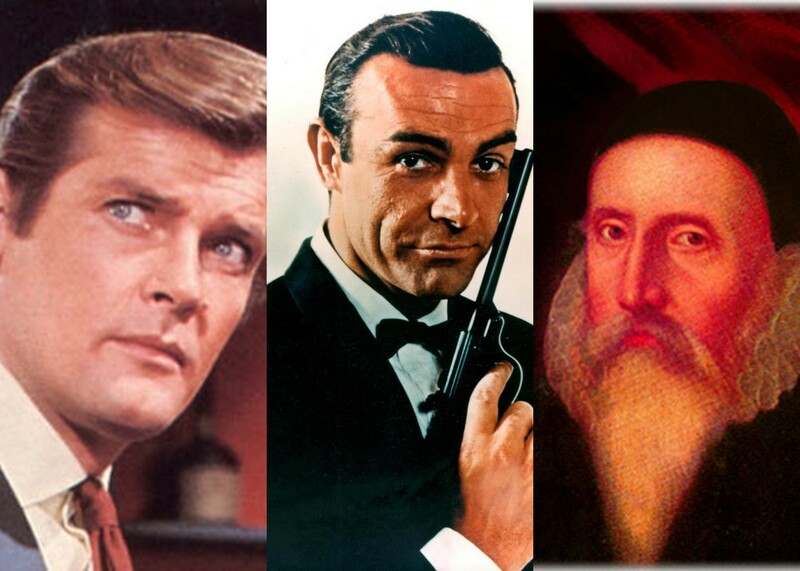 Centuries before Ian Fleming would write James Bond into existence, another man signed letters with "007." That man, John Dee, was a mathematician, astronomer, and (some say) magician. He was also a trusted member of Queen Elizabeth I's court. Some historians say that Dee was a spy for Elizabeth, thus making him an even more fitting inspiration for Ian Fleming's hero. Born in 1527, John Dee would later earn a reputation as one of the most learned men of his age. He attended St. John's College, Cambridge from 1542 until 1546. He was so successful that he was made a fellow at Trinity College. It was there, working on a stage performance of Aristophanes' Peace, that Dee gained attention for being a magician; apparently his stage effects were so clever, the audience could find no natural explanation for them. Dee spent the late 1540s and the early 1550s traveling throughout Europe. He studied at Leuven in Brussels and delivered a lecture on Euclid in Paris. Dee met and befriended legendary cartographer Gerardus Mercator, and when he returned to England he brought a significant collection of astronomical and mathematical instruments. Soon after, Dee became a tutor to the court. The relationship with young Princess Elizabeth would prove a pivotal one. Dee had long been fascinated with astrology. In 1555, he created horoscopes for both Queen Mary and Princess Elizabeth. Though this wasn't necessarily an offense unto itself, he discussed Mary's horoscope with Elizabeth. Thus, Dee was arrested for "attempting to calculate nativities," which was elevated to a charge of treason. It's not certain how Dee convinced the court of his innocence, but it may have had to do with his supposed occult powers. After one man testified against Dee, one of his children died and another was struck blind. Dee was released to the custody of Catholic Bishop Bronner for religious examination. The two would form a strong relationship; Dee was actually quite religious. The following year Dee presented an interesting proposal to Queen Mary: he suggested the foundation of a national library and requested funds to start the project. Mary rejected the plan, so Dee set about building his own personal library. He amassed an incredible collection of rare books and manuscripts, one that far surpassed the collections of England's universities. Dee focused on mathematics, astronomy, alchemy, and the supernatural. By the time Elizabeth rose to the court in 1558, Dee had already become her closest personal advisor. Elizabeth even entrusted him with choosing an auspicious day for her coronation. Dee would counsel the queen on all things scientific and astrological. Thanks to his knowledge of astronomy, key to nautical navigation at the time, Dee would also serve as the advisor for England's voyages of discovery. He advocated imperialism and was actually the first to use the phrase "British Empire." Meanwhile, Dee straddled the worlds of science and mysticism—a proclivity that would win him widespread acclaim. When the Spanish Armada loomed in the British Channel, Dee counseled patience. Soon enough, a violent storm arrived and destroyed the Spanish fleet. People credited Dee with conjuring the storm. And in 1572, when a new star appeared in the sky, Dee was summoned to explain the phenomenon. Dee often corresponded with the queen on confidential matters. He took to signing his letters "007" to designate letters for the queen's eyes only. 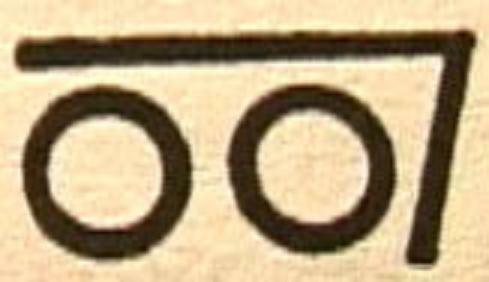 The zeroes represented eyes, and the seven was thought to be a lucky number that offered protection. Many scholars believe that Dee was one of Elizabeth's spies, and that his travels throughout Europe were not for "spiritual conferences," but rather to gather intelligence. It's known that Elizabeth employed a number of spies, especially after the Pope declared her an illegitimate ruler in 1570. She was constantly threatened by conspiracy plots, all of which were quashed by her secret service. Dee would have been a formidable member of this team; his reputation for magic preceded him, and he was obviously well connected through his position at court. By the early 1580s, Dee had grown dissatisfied with his lack of recognition—and his lack of progress in understanding nature. He turned his attention to the supernatural. Dee attempted to contact angels through a crystal-gazer. In 1582, Dee met Edward Kelley, and the pair began the pursue supernatural studies together. They conducted their "spiritual conferences" with great piety. Dee truly believed that his efforts could improve the world, and he eventually ended up traveling throughout Europe to consult with high-powered leaders. He had audiences with Emperor Rudolf II in Prague and with King Stefan Batory of Poland. During this period, Dee claimed that angels dictated entire books to him. Some were in the Enochan language, which he and Kelley created. But he didn't always appreciate the angels' council. In 1587, Kelley claimed that the angel Uriel had ordered Kelley and Dee to share their wives with each other. Though Dee initially consented, he soon broke away from Kelley and returned to England. Dee came back to find that his vast library had been pillaged of its best books, manuscripts, and instruments. He also found Queen Elizabeth less willing to help him. She finally made him Warden of Christ's College, a Protestant institution where the fellows detested Dee. After Elizabeth's death, James I had no sympathy for Dee. He died in poverty, tended by his daughter. Portions of this post have been previously published on our blog.